But is it all an elaborate hoax? A UK-Swiss team will use DNA testing to investigate the origins of remains claimed to be from yeti and bigfoot. The project will examine hair, bone and other material from a collection amassed by a Swiss biologist – and will invite submissions from elsewhere. Many cultures relate legends of hairy, humanoid creatures that lurk in the wilds, rarely seen. But material claimed to be from such creatures have never been subjected to modern scientific techniques. “It’s an area that any serious academic ventures into with a deal of trepidation… It’s full of eccentric and downright misleading reports,” said Prof Bryan Sykes, from Oxford University. The researchers will apply a systematic approach and employ the latest advances in genetic testing, aiming to publish in peer-reviewed scientific journals. “There have been DNA tests done on alleged yetis and other such things but since then the testing techniques, particularly on hair, have improved a lot due to advances in forensic science,” the Oxford geneticist told Reuters news agency. Modern testing could get valid results from a fragment of a shaft of hair, added Prof Sykes, who is leading the project with Michel Sartori, director of the Lausanne Museum of Zoology. 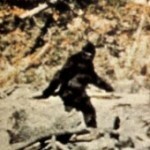 Cryptozoology is the study of animals and other creatures that have not yet been accepted by science as real. In other words, it is monster-hunting. Cryptozoologists look for creatures like sea serpents and the yeti, hoping to gather enough evidence to prove that these beings exist. They also look for more commonplace animals, such as the ivory-billed woodpecker, the giant vampire bat, the inflatable hedgehog and the pygmy elephant. Creatures that are under investigation by cryptozoologists are called cryptids. Although cryptozoology doesn’t get much respect from other scientific disiplines, it has had some spectacular success stories, including the pongo (now known as the gorilla), the okapi (an animal that looks like a cross between a giraffe and zebra), and the coelacanth (a prehistoric fish thought to be extinct).